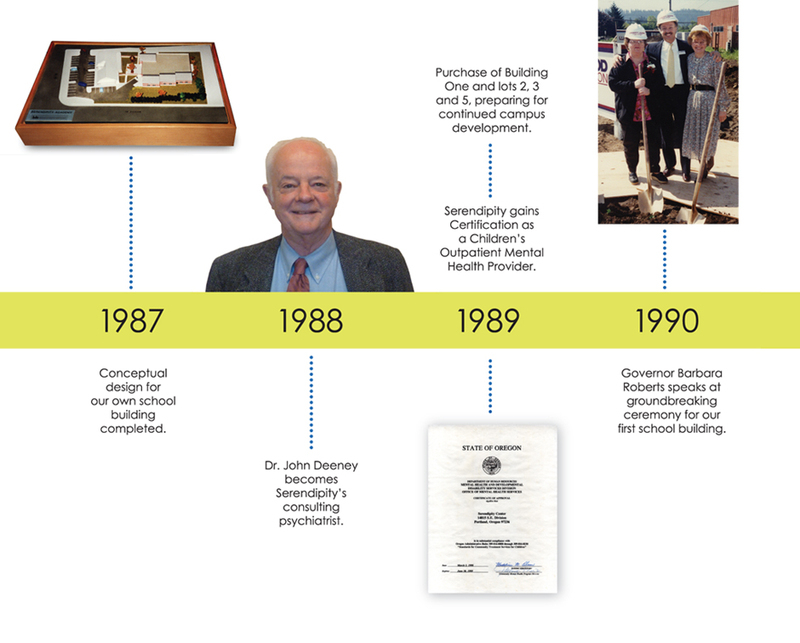 Serendipity’s story tells the evolution of a unique model. 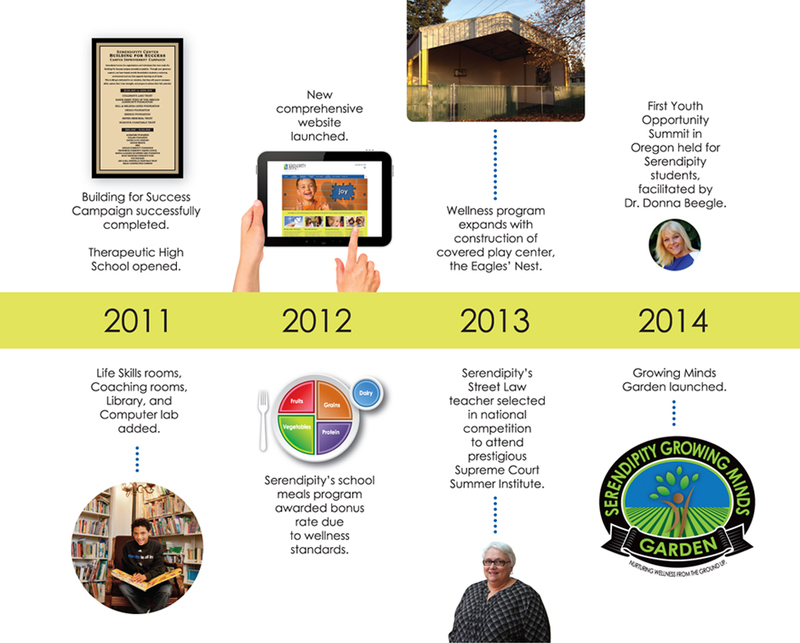 Responding to the needs of our students and the community we serve, we grew from a high school to a K – age 21 program. 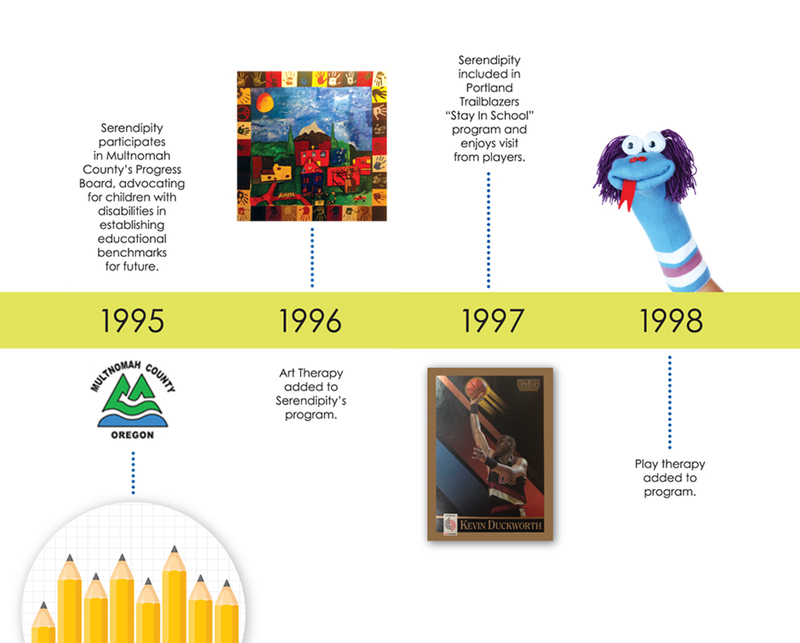 We developed from an alternative to a therapeutic school by integrating treatment services. 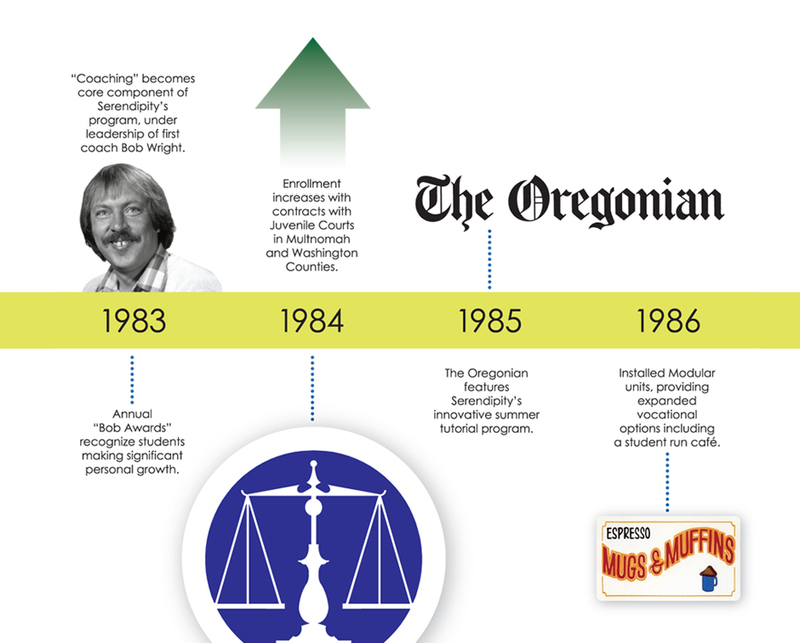 We moved from rented classrooms to our customized campus. 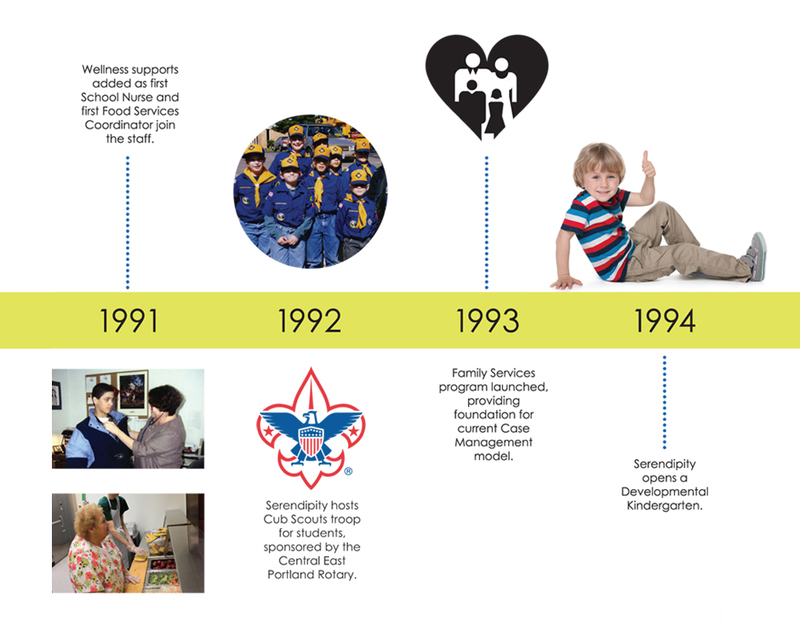 A holistic definition of success emerged, with vocational readiness, life skills, service projects, artistic expression, leadership, and wellness incorporated into academic learning. 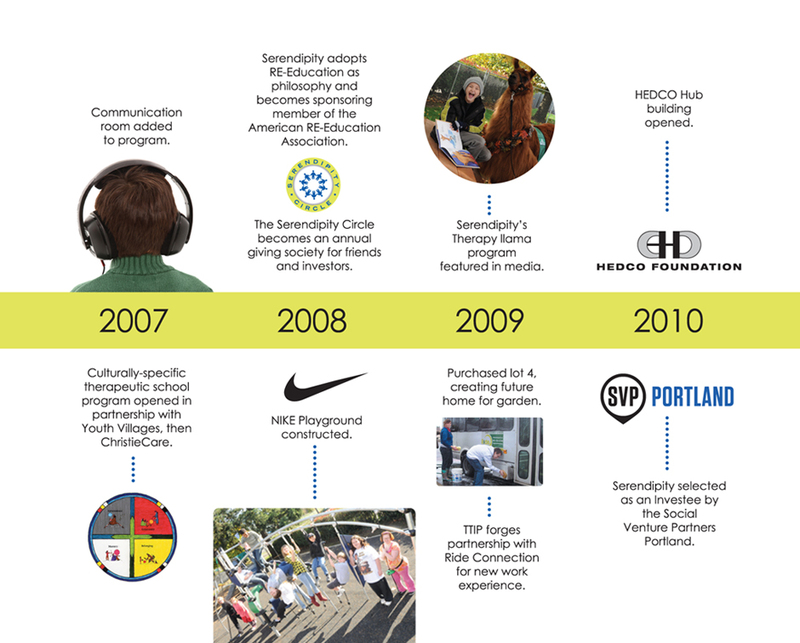 Support within our community grew in the form of an expanding circle of donors and investors. These friends believe in our mission and, most importantly, join with Serendipity’s exceptional staff to believe in the potential of all our students. 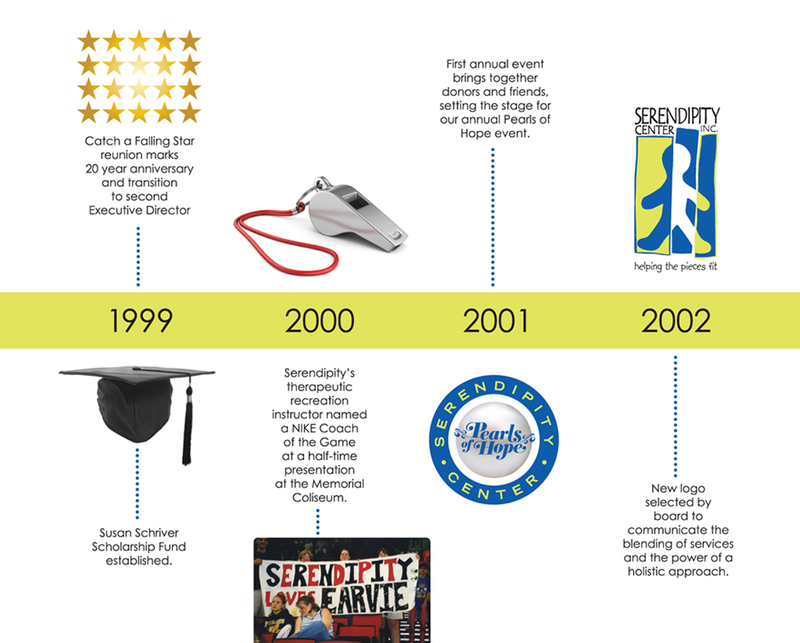 Please click on the arrows to travel in time through Serendipity’s history. 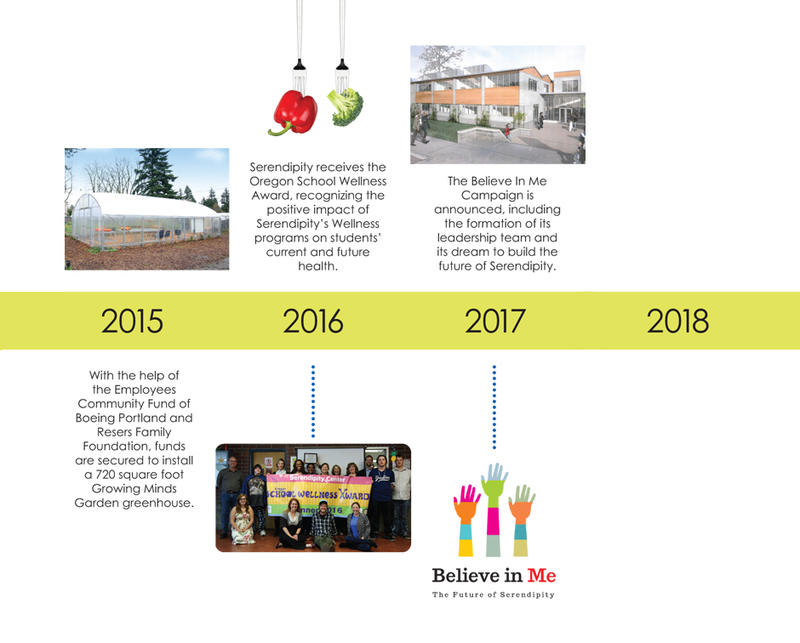 As we look to the future, we are planning for growth and expansion that will allow Serendipity to serve more students while maintaining its commitment to best practice therapeutic education. 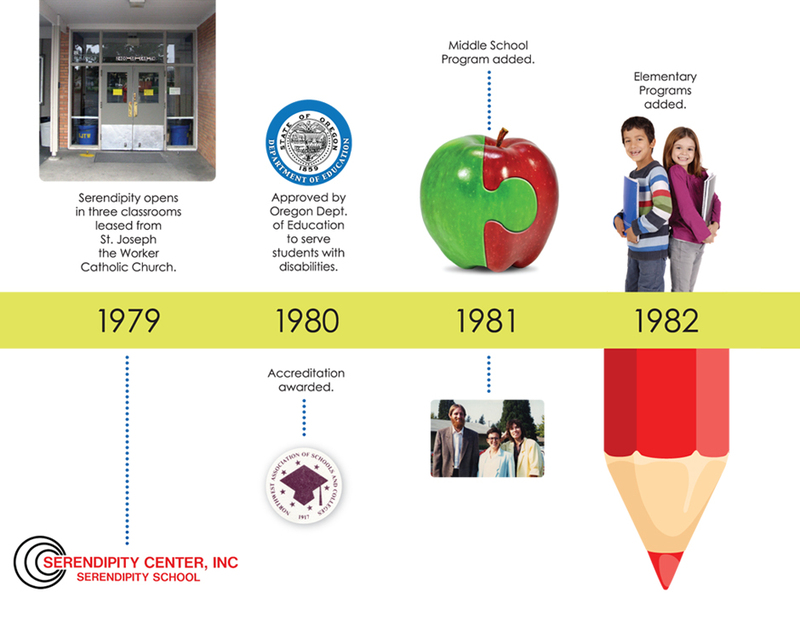 While we are proud of what we’ve accomplished in the past 35 years, our focus is on the future and ensuring Serendipity leads the way as a model therapeutic school for the region, and the nation. We envision growth of our campus, where the mental health, education and physical well being of our students are seamlessly integrated.